Rapid urbanization, economic growth and climate change are putting increasing pressure on urban communities around the world. While strong physical structures are important, social relationships play a key role in determining urban communities’ resilience during adverse weather events. Community resilience is influenced by the strength of neighborhood social networks and cohesion, two features that determine a community’s social sustainability (its viability, health and functioning). Interacting, getting along—with or in spite of social or ethnic differences—and collaborating on group initiatives help sustain communities in ordinary times and respond resiliently during times of crisis. These social factors can improve residents’ health, well-being, daily quality of life and collective capacity to cope with, and adapt to, disasters. Built environments that promote social interaction can contribute to socially sustainable, resilient communities. City policy makers, planners and designers can adopt “socially-aware planning:” the intention to promote positive social interaction and social impacts through the mindful planning, designing, construction and management of cities. 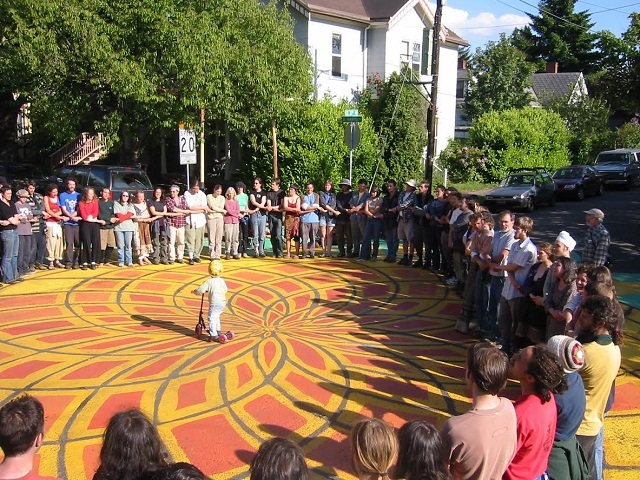 Two crucial elements—urban form and community participation in urban development—have the greatest influence on community behavior, thoughts and feelings. 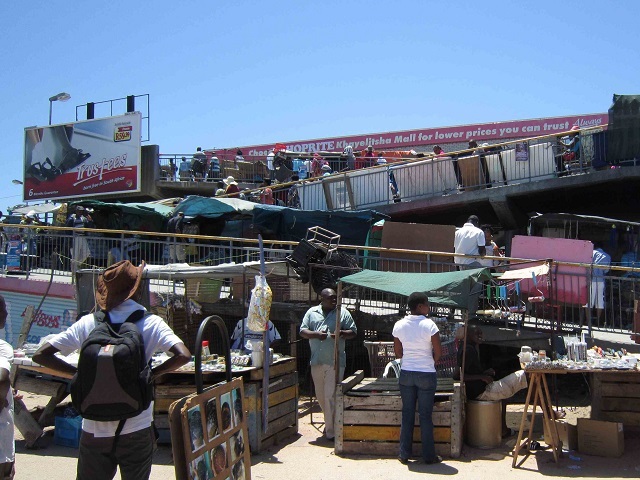 In Khayelitsha, a township in Cape Town, South Africa, the Violence Prevention through Urban Upgrading Programme (VPUU), has transformed its previously rundown and dangerous streets into a safer, vibrant and more attractive place. Through a survey and interactive events, residents and professionals co-identified crime-related problems, community needs and organizational patterns in urban spaces. To deter crime in these locations, residents helped implement new features, including paved pedestrian walkways and street lighting, providing “safe routes” through dense informal settlements. These new features made the community safer. In fact, the murder rate dropped by 39 percent between 2003 and 2010, the highest in a low-income community. Additional positive social impacts include employment opportunities for residents and trauma counselling for women. These solutions foster positive community behaviors such as collaboration and feelings of pride and safety. While the Khayelitsha project provided distinctive social and economic benefits, a co-design project in Portland, Oregon, identified quantifiable clinical health benefits. The community conceived, designed, permitted and constructed three neighborhood pedestrianized squares with the objectives of improving participants’ social networks and mental wellbeing. With support from urban development professionals, residents implemented features such as community-designed street murals, benches, planter boxes, information kiosks with bulletin boards and hanging gardens. Psychologists systematically surveyed 265 participants before and after the intervention within a two-block radius of the sites. They measured mental health, sense of community, community capacity and social networks and recorded improvements seen through community empowerment, participation and collective action. In many informal settlements, such as in Surat, India, community resilience is inhibited by poverty, low-quality built structures and exclusion from city government disaster planning. Including these communities in neighborhood management is the most immediate factor to address. Where residents have strong networks but are vulnerable to, for example, flooding, resettlement requires a nuanced understanding of the social relationships and organizational strategies that enable resilience. 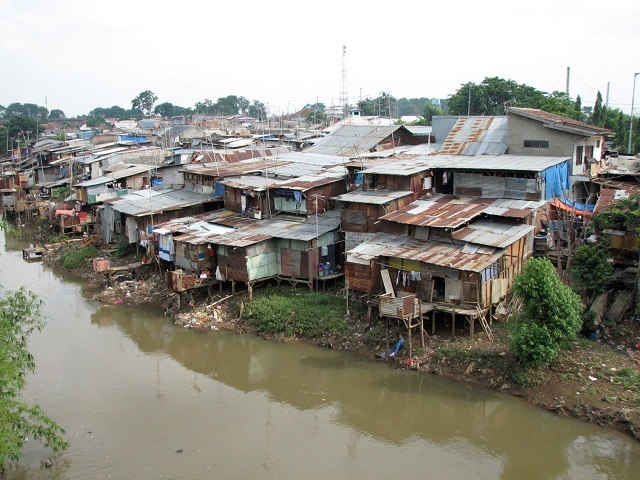 In Jakarta, Indonesia, the diverse residents of riverside neighborhoods (kampungs) have strong social networks and cohesion, partially due to the close proximity of low-quality housing, and formal organizations that enforce participation in neighborhood cleaning (kerja bakti) and security systems (ronda). During floods, residents use their informal communications networks as a warning system, pooling resources and participating in clean-up activities. Despite attempted relocation, some kampung residents may return to their original dwellings if their networks and support systems are not also transferred. Adequate housing is an urgent priority, but, before relocating populations, planners must research the spatial and organizational features of neighborhoods to maintain social communities. Government sustainability and resilience plans tend to prioritize the “hardware” of cities, but change is needed. Adopting the socially-aware planning process will make cities more robust and responsive to the needs of their residents. The report offers a global perspective and evidence from 12 countries to show its’ relevance and applicability everywhere. 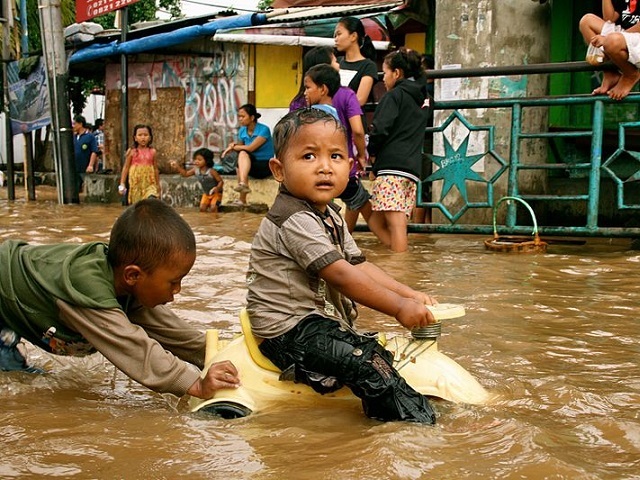 As adverse weather events increase, people, as well as the planet, must be protected.